Many thanks to our guests for the wonderful comments they leave in our guest book and for the following guests for allowing us to publish these. We have had a fantastic week in this beautiful, special place. We enjoyed swimming, floating and skipping stones on the lake. 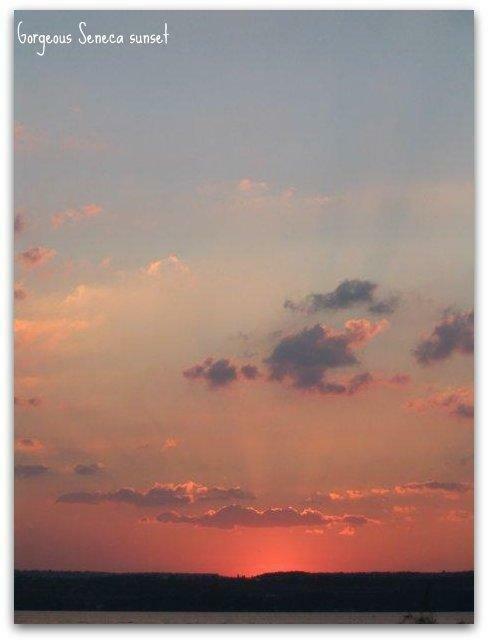 The Seneca Lake sunsets have been gorgeous. Seeing hummingbirds and so many stars in the sky have been special treats for us. We all agree that this was the perfect way to spend the last week of summer vacation before the children go back to school on Monday. Thank you. 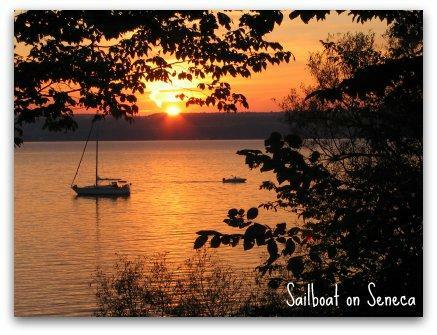 The sunsets over Seneca Lake are extraordinary with fiery colors that light up the night sky, and can be viewed from the living room couch or the wonderfully bug-free screened-in porch. The warmth of this very special cottage is filled with art that is pleasing to the eye and the gas fireplace serves to accentuate that warmth… It’s a breathtaking experience. We felt like we were transported back 50 years to a more peaceful time when we walked in the cottage… We found it serene; listening to the raindrops on the leaves, watching the thunderstorms move across the lake and feeling the refreshing breeze... Thank you Rosemary and Jim. You are most gracious hosts and made our stay here a pleasure. It has been a wonderful stay, but all too short… Sitting in the porch, both by day watching the hummingbirds feed, the squirrels chasing in the branches and listing to the wind rustling in the leaves, and at night by candle light with only the ripple of the waves to break the silence… Thank to Rosemary and Jim who have been the perfect hosts and given us a holiday we will never forget.